There’s something about road-tripping to the edge of a continent that makes for an extra special road trip. Perhaps it’s the meeting of land and sea, the sense of wilderness and the history of explorers that came before, back in a time before cars and campers. The Gaspé – that far eastern reach of Quebec just south of the mighty St. Lawrence River, a peninsula of land that billows above New Brunswick – is exactly such a place. We travel by small camper van and our ideal road trip is a large loop with a powerful landscape, good and well-marked roads, small villages with friendly people, a menu of fresh regional ingredients and just enough to see and do that the busyness doesn’t threaten a little stargazing at nighttime. Gaspé checks all our boxes. It’s a little less than a thousand kilometres to circle the peninsula. Our choice was to follow Route 132, hugging the dramatic coastline. There are small side trips into the forested and hilly centre of the peninsula, to hike the beautiful hills of the Chic-Chocs – the northern extremity of the Appalachian chain – but for this time we kept to the meeting of land and water. Just before reaching Gaspé’s north coast (actually the southern shores of the St. Lawrence River) Route 132 lulled us into a smooth and gentle drive past farmlands of potatoes, soy and hay. On a Sunday morning we stopped at Fromagerie des Basques in Trois-Pistoles for cheese samplings and a bag of the freshest, squeakiest cheese curds ever. 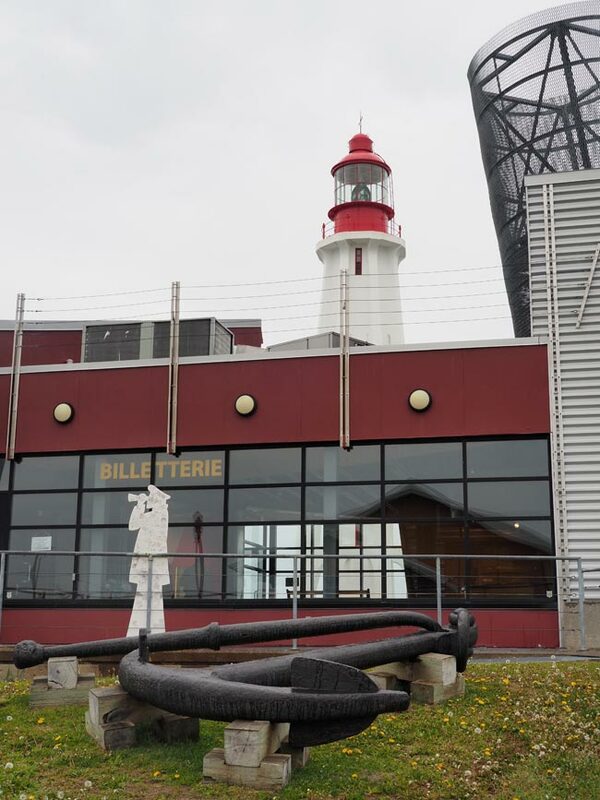 It was the energy boost needed for our tour of Pointe-au-Père Maritime Historic Site in Rimouski. The ship’s wheel recovered from the Express of Ireland. The museum, lighthouse, maritime buildings and Cold War submarine are perched riverside, with waves crashing on a rocky shoreline. It seems fitting, since this is an introduction to the historical importance of the St. Lawrence River to the economy and culture of the region. The Empress of Ireland museum. The large Empress of Ireland museum tells the story of the 1914 sinking of the transatlantic liner of the same name. This part of the river is notorious for its intense fog, shoals and tides, creating a major navigational challenge that demands the skill of certified pilots (mandatory since 1805 on all large ships). 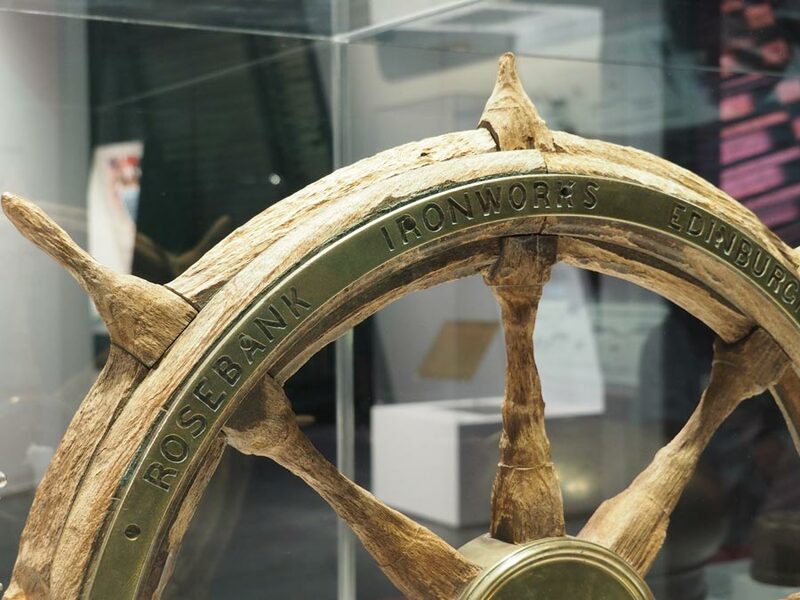 The museum is filled with maps and charts, multimedia displays and artifacts including the ship’s wheel and propeller recovered from the wreck. Lighthouse and keeper’s cottage at Pointe au Pere. 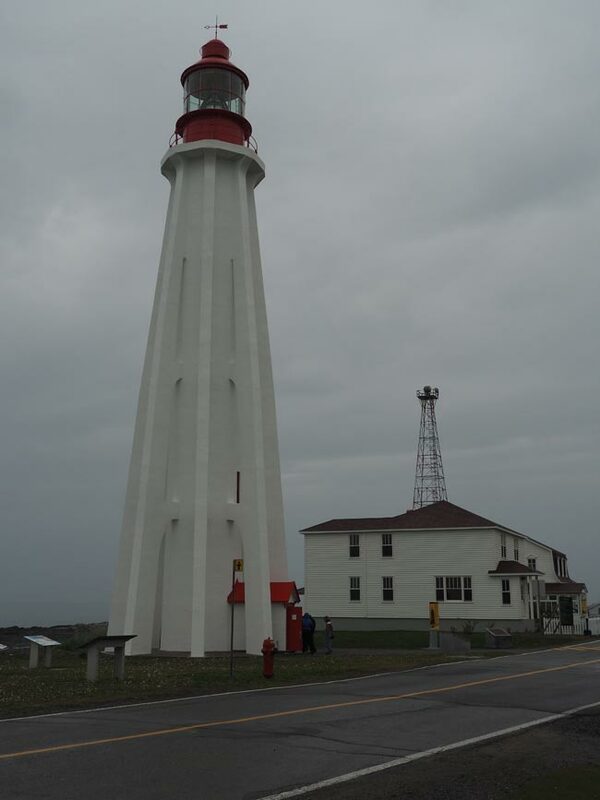 At the site, the Pointe-au- Père Lighthouse stands 33 metres, the second tallest lighthouse in Canada and an important navigational aid for ship pilots plying the difficult route. Guides lead small group tours 128 steps to the top of the lighthouse. The highlight for us was a self-guided tour of the Onondaga, one of the few Canadian submarines open to the public. Inside was a look into the life of the crew of 70 submariners – the noise and heat when the 4000-horsepower diesel engines were running, the dials, sonar screens and periscopes in the control room, the red lighting to help vision adjustments. This pretty stretch of Gaspé coastline was a summertime destination for the moneyed class from Montreal and Quebec City. Historic villages like Metis-sur-Mer are a pleasing mix of tidy clapboard houses with white picket fences and more expansive properties with well-tended privacy hedges, tennis courts and large 20th-century “cottages” belonging to families like the Molsons. 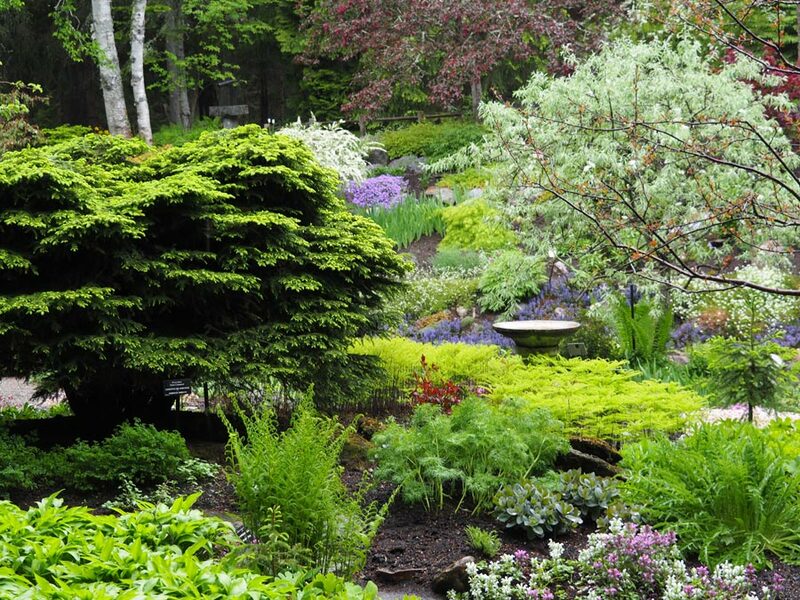 Reford Gardens was the passion of founder Elsie Reford, who started gardening at age 54. Nearby, the grounds of one of these heritage properties at Reford Gardens is open to the public as one of Canada’s top garden destinations. 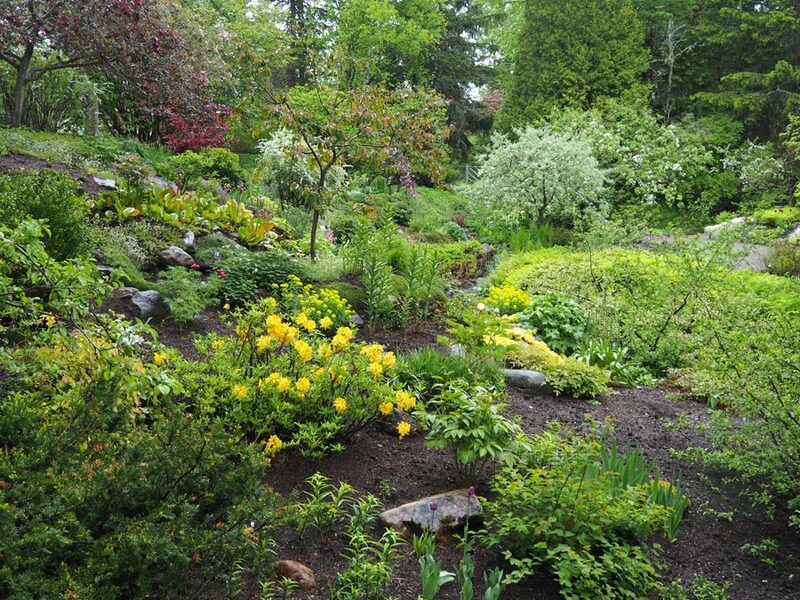 A dozen horticultural staff tend to 3,500 species of plants on the property’s 20 acres of garden, including woodlands, ferns, shrubs and flowering plants like rare blue poppies. The gardens were originally the private domain of Elsie Reford who had a passion for horticulture and took up gardening in the early 1900s at the age of 54 (proving it’s never too late to start a new passion). The further east we travelled, the hillier and wilder the landscape became. The gentle coast grew into the spectacular Haute-Gaspésie, the meeting place of sea, shoreline and forest. Route 132 hugged the edge, waves crashing on our left and ever-growing cliffs on our right. In one of the region’s larger towns, Sainte-Anne-des-Monts, we stopped at Exploramer, an aquarium-museum showcasing the saltwater environment and sealife of the St. Lawrence waters. 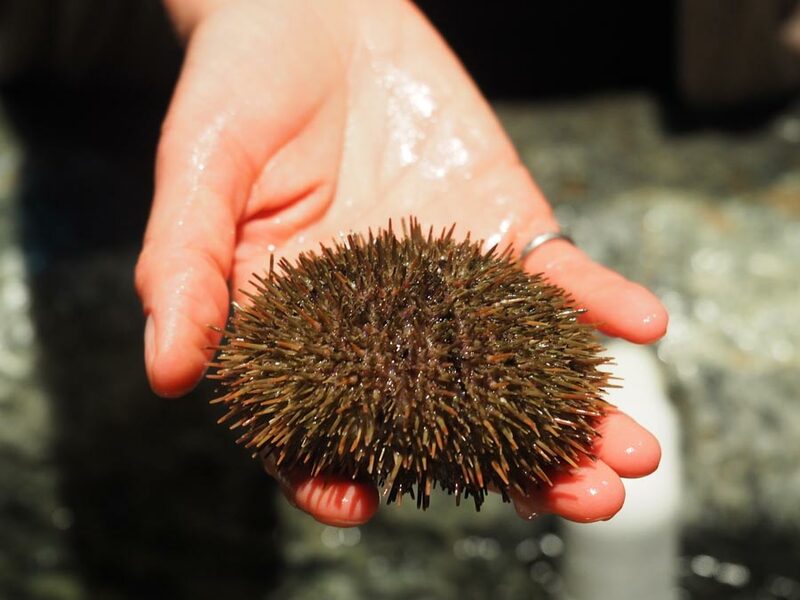 A sea urchin from the touch pool at Exploramer. The estuary and the Gulf of St. Lawrence – a channel carved thousands of years ago by glacial action and melting – is actually an underwater terrain of mountains that sometimes emerge into islands. The waters are home to whales, seals, shrimp, sea stars, jellyfish and dozens of other creatures. The aquarium’s touch pool and 20 tanks house 60 different species found in the St. Lawrence. It was an excellent way for us to gain an understanding of the complex underwater environment and to appreciate that along this route, in the Gaspé, it is the saltwater that is the lifeblood of the region. Two people, one dog and a 2006 Roadtrek camper van. We’ve immersed ourselves in the RV road trip lifestyle, drawn by the flexibility and independence. There’s more on our website devoted to our travels and writing: www.travelswithrigby.com with info on RV travel, how to buy an RV, dog-friendly travel, food and music destinations.